There is nothing like sitting behind the wheel of a luxury sedan made by a prominent automaker. When you do business with a reputable Porsche dealer near Kenner, LA, you can look at different models and trims and take a few for a test drive. With that, you can feel the difference in how each performs, making the selection process somewhat easier. Although you have several incredible options, the Panamera luxury sedan receives a lot of attention, not only from potential buyers but also people who stare in awe when one drives by on the street. One thing that makes this particular vehicle unique is that, in addition to the four-door model, you can opt for one of the other 15 possibilities, including a hybrid. As for the four-door Panamera luxury sedan, all you have to do is look at what it offers to see that no other vehicle compares. • Unbridled Power – While you expect incredible power from the Turbo 5 that produces 550 horsepower, you may be surprised by other options. When visiting the right dealership near Kenner, LA, you will learn that even the base trim with a 3.6-liter V6 engine yields 300 horsepower – more than the average driver needs. • Athletic Profile – One thing that might surprise you is the fact that this luxury sedan has an athletic body profile. Compared to other vehicles in its class, the Panamera is wider. It even outperforms with amazing balance and excellent traction when driving on winding roads. • Smooth Ride – Regardless of which model and trim level of the Panamera you choose, you and your passengers will enjoy a smooth ride. The turbo is especially nice thanks to an adaptive suspension that softens bumps in the road. Whether you want a luxury sedan for business or personal road trips, you will love the smoothness when driving the Panamera. • Unlimited Customizations – You also need to consider that you can customize the Panamera to your driving style. When talking to the salesperson at the dealership close to Kenner, LA, you can learn about engraved doorsills, vent slats trimmed with leather, and a host of other luxurious add-ons. 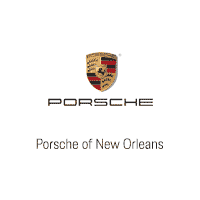 Visit us at Porsche of New Orleans, located just outside of Kenner, LA, to find the sedan of your dreams. We have new, used, and certified pre-owned options, as well as financing if needed. We look forward to serving you as a valued customer.